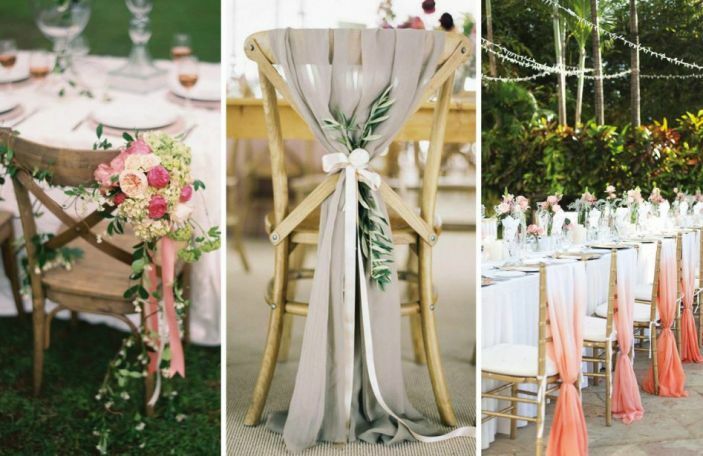 We love weddings (you might have noticed?!) and we let out a little, excited squeal whenever an awesome new creative appears on the scene. 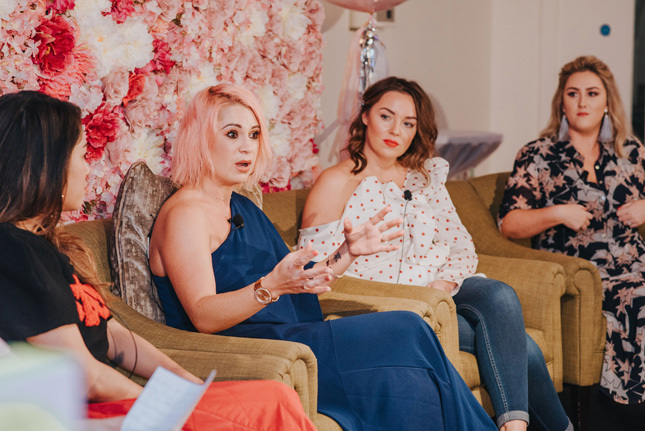 Equally, when much-loved artists shake things up, or up their game in a big way, Team Confetti is there, cheerleading from the sidelines. 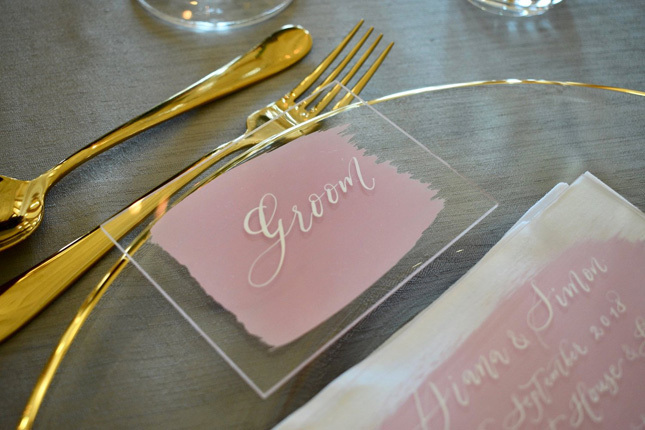 Already this year, we've seen an abundance of both with Irish wedding suppliers, so we thought we'd spread the good word. Gwan the lads! 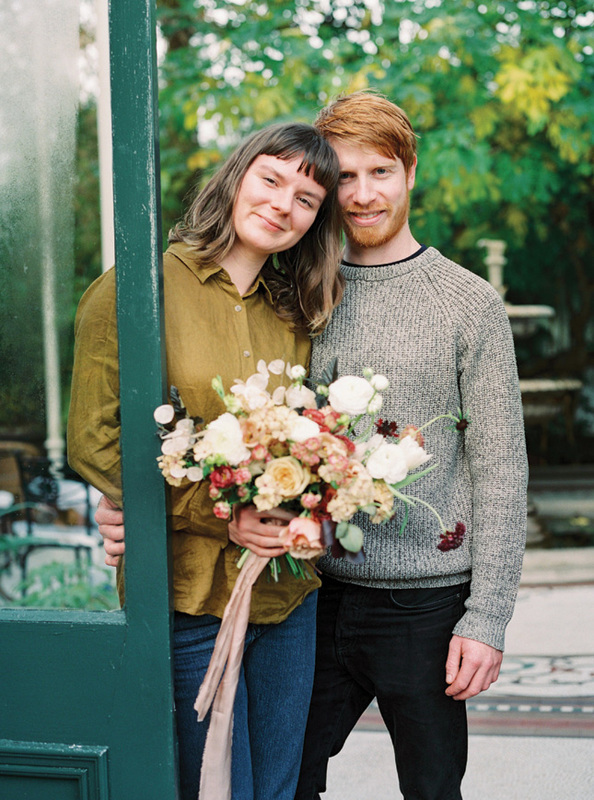 Juliana Bermingham exploded on to the Irish wedding flowers scene last year. 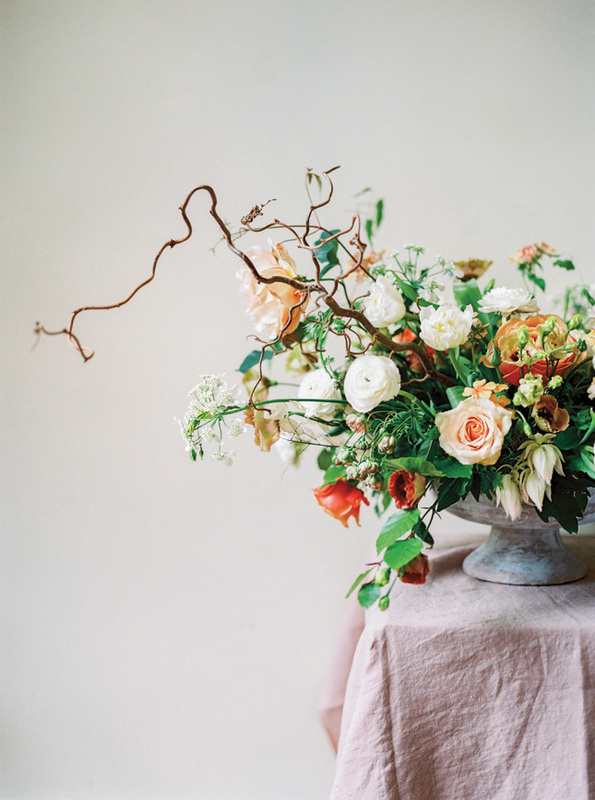 With her incredible eye for texture and colour and delicate hand, she has created her own unique style and, best of all, her flowers are Irish farmed. 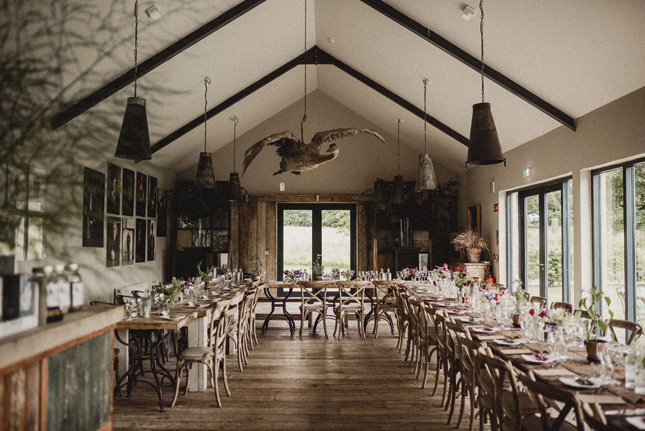 Burtown House in Athy is home to three generations of the Fennell family and its restaurant had been much loved for its locally sourced and homegrown produce, for many years. 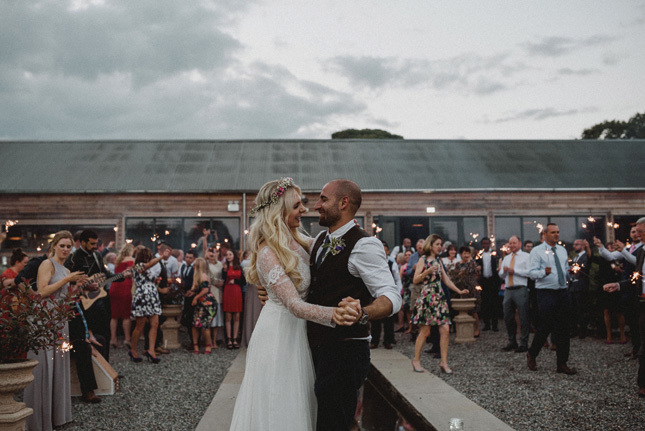 Barn weddings at The Green Barn are now a firm favourite with Irish couples looking for something chic, yet chilled. Award-winning hat maven, Davina Lynch is having something of a fashion moment. 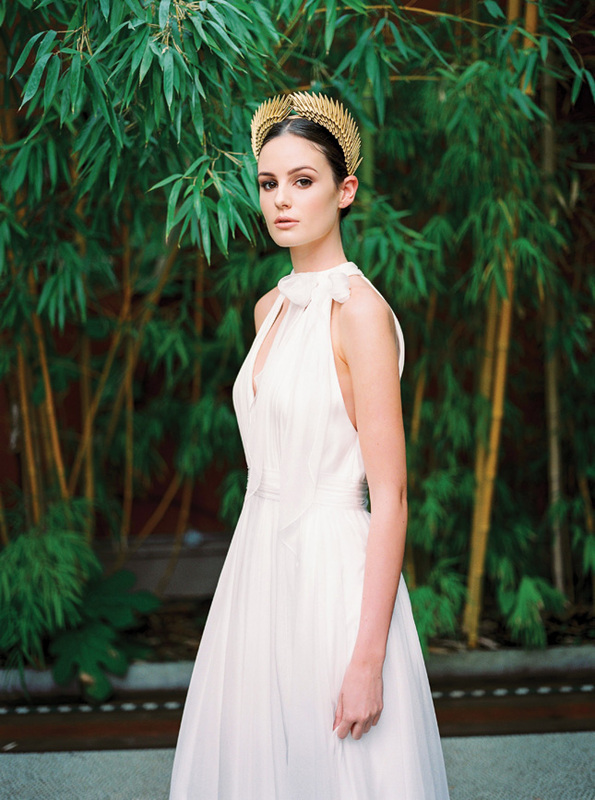 We're seriously into her bridal collection of headpieces made of hand-folded paper origami. 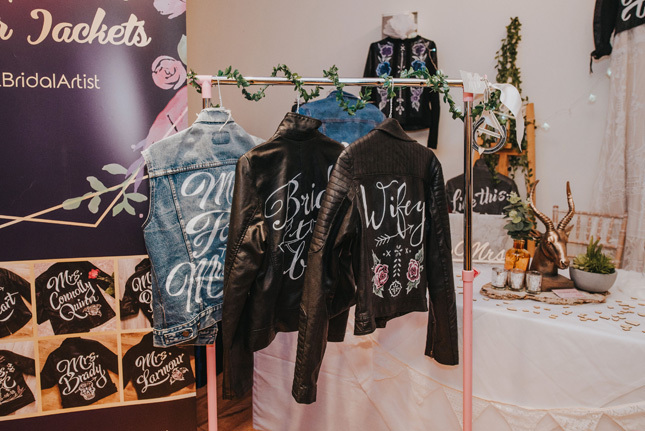 Her pieces retail from €125 upwards and are perfect for the stylish bride looking for something unique and Irish made. Yep, it's your man from TV3. And, more recently, Virgin Media. 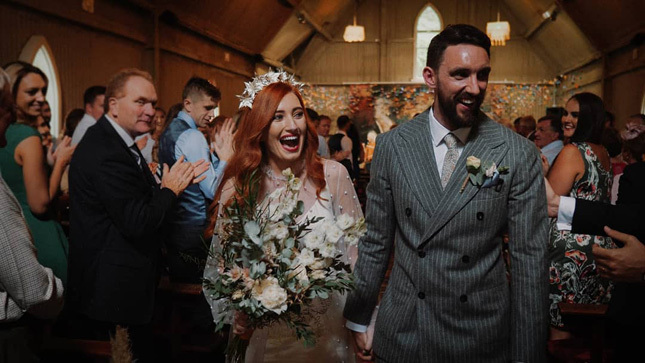 After decades working on the telly, Conor has now turned his hand to marrying people - and a fine job he's doing of it too. 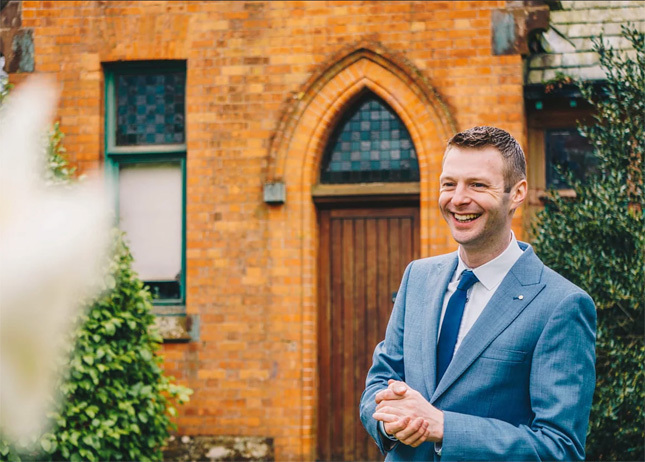 Explaining his decision to become a wedding celebrant, Conor says: "I just love love! 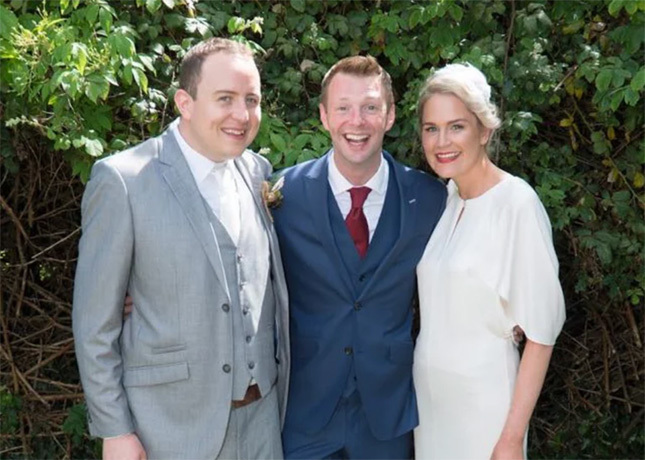 My background is in broadcasting media, having spent the last five years presenting the Love Zone on Dublin’s Q102, and I’ve also presented many wedding and bridal fairs." 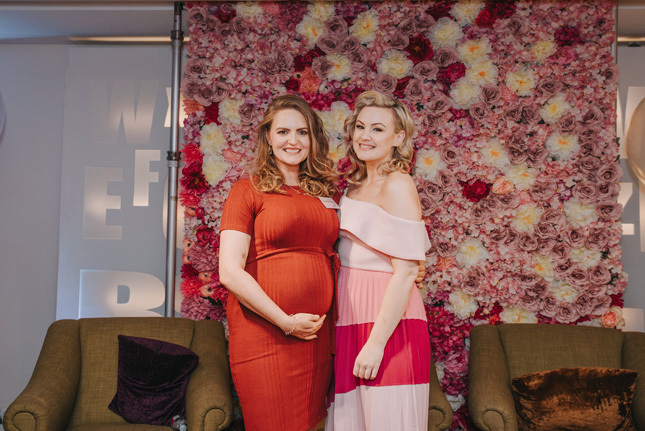 Facialist Dawn Hill launched her results-driven facial clinic in 2018, to much fanfare. Her approach to skin is 360 degrees; covering treatments, skincare, nutrition and wellbeing. 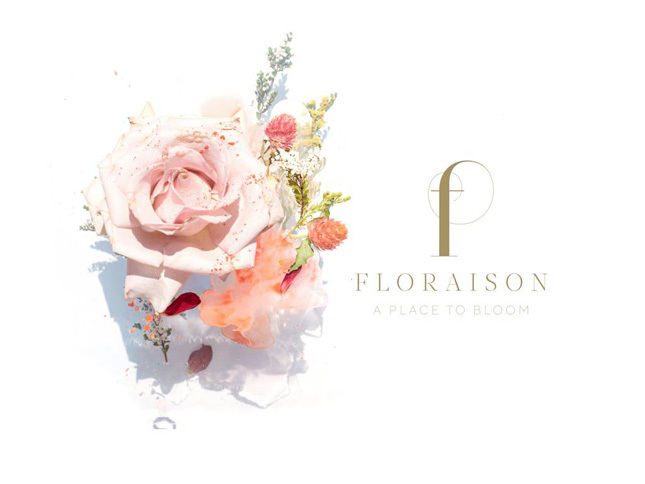 She offers fully bespoke treatments to clients, believing that no single facial fits all. 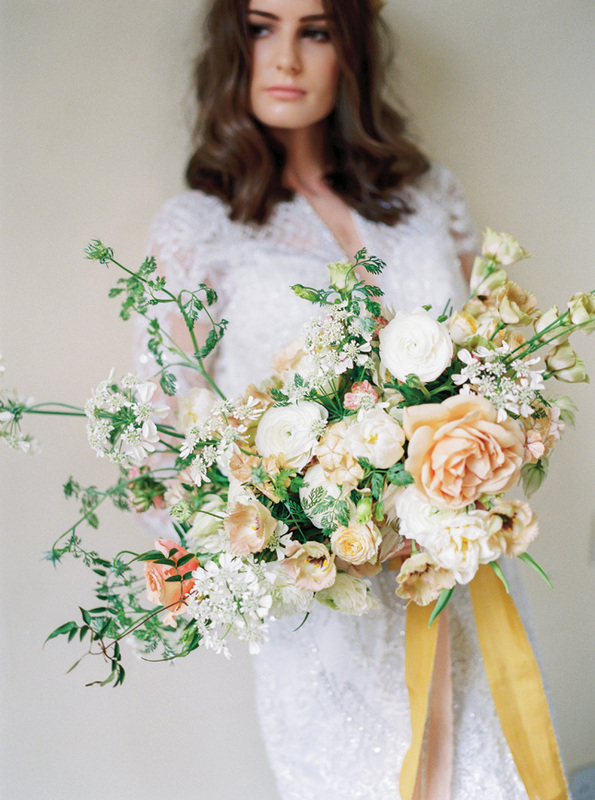 She'll even come to your home for treatments - ideal for busy brides. 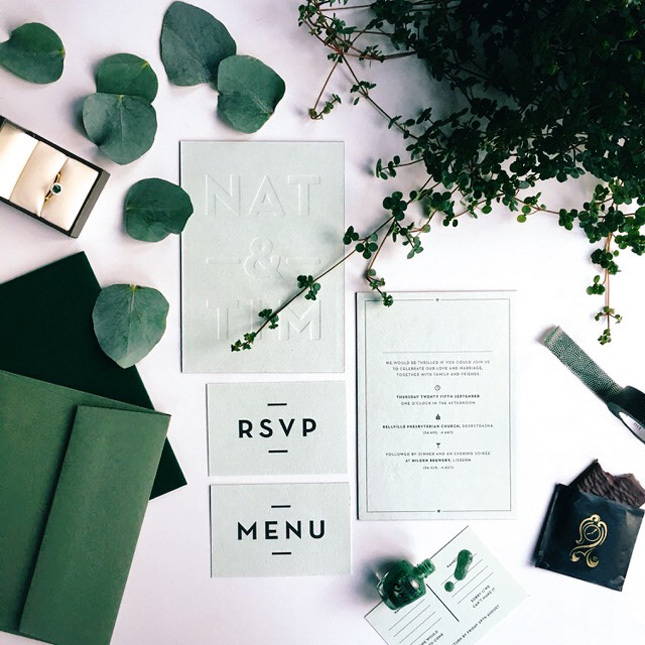 If minimal vibes with considered fonts and beautiful colourways are your bag, you'll dig Irish design house Keady Row. 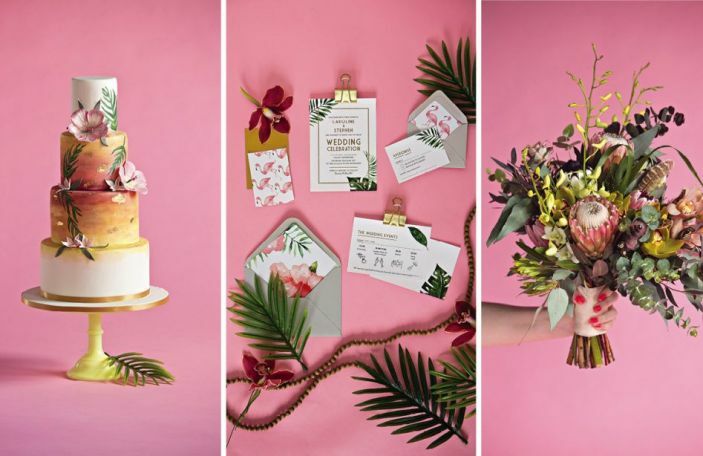 They're an ideal option for the design conscious couple who want to inject some contemporary vibes into proceedings with stylish wedding stationery. We're big fans. 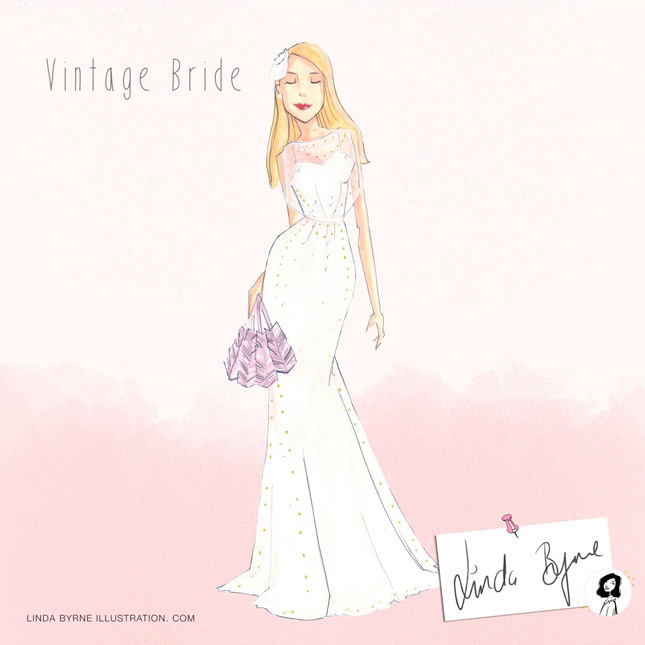 Linda is a well-established illustrator who branched into the world of weddings in the last couple of years - and has really blown up. 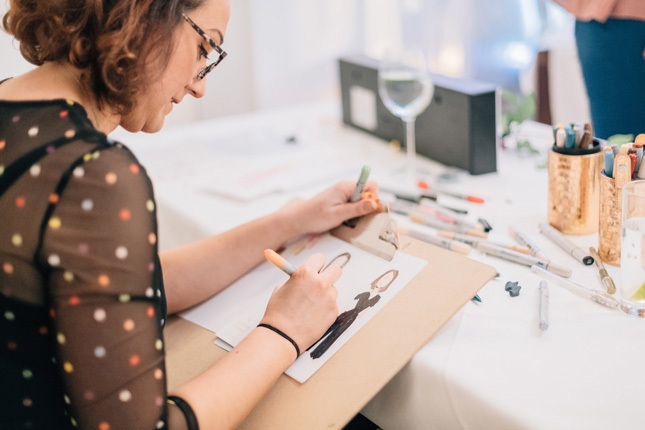 She makes the cutest, colour sketches of your guests in around 7 minutes, making her the ideal drinks reception entertainment that doubles as your wedding favours. 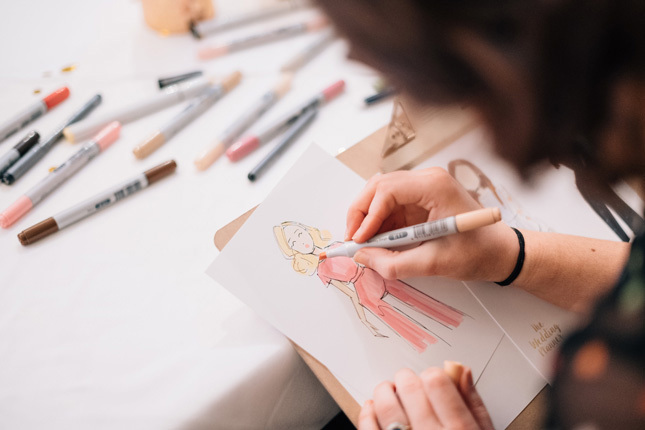 She'll also create custom illos after the day from images provided by the couple - sweet. How cuts it this? 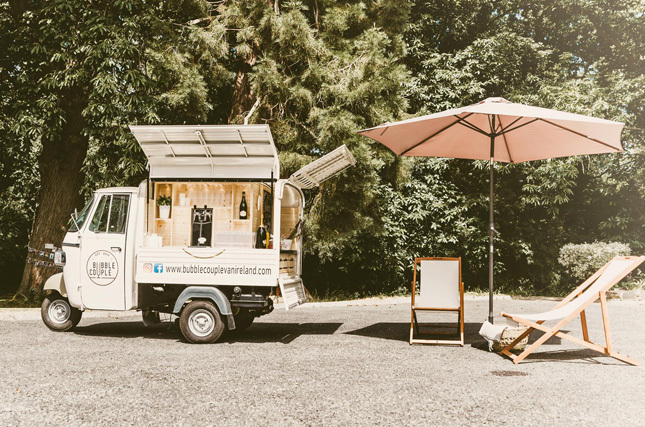 A pastel tuk-tuk that serves Prosecco - the stuff wedding dreams are made of. 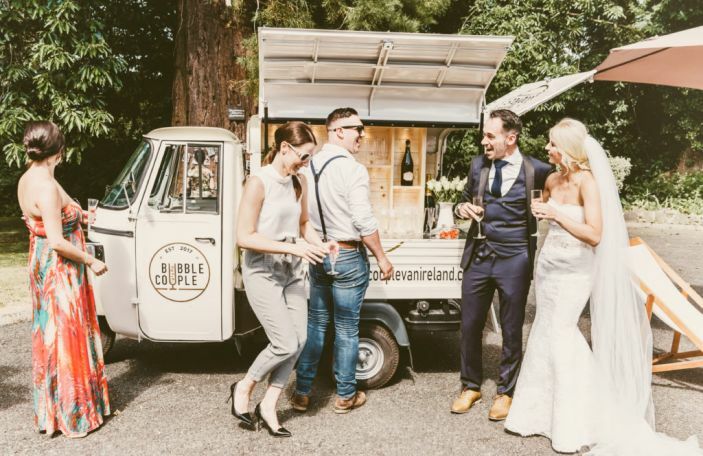 Husband and wife, Stephen and Agnieszka came up with idea of a Prosecco van whilst trying to find something similar for their own wedding and so, The Bubble Couple was born! 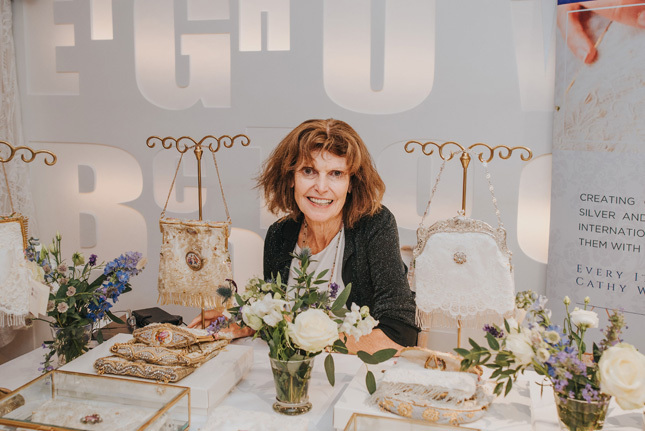 Cathy sources vintage bags and uses their beautifully preserved silver and gilt frames to create new heirloom pieces, adding vintage fabrics, silks, trims and fastenings. 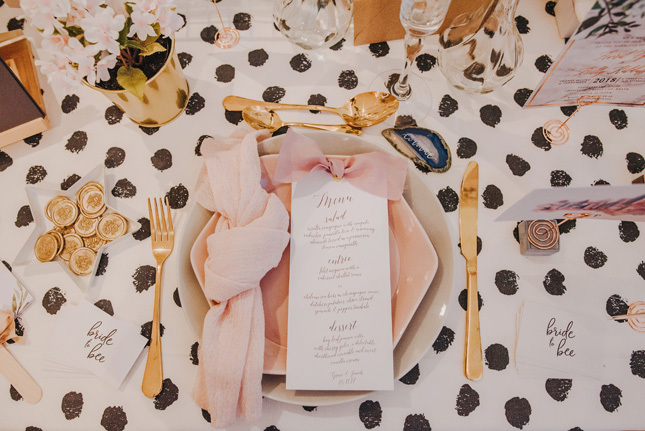 Every item is handmade in her home and completely unique. 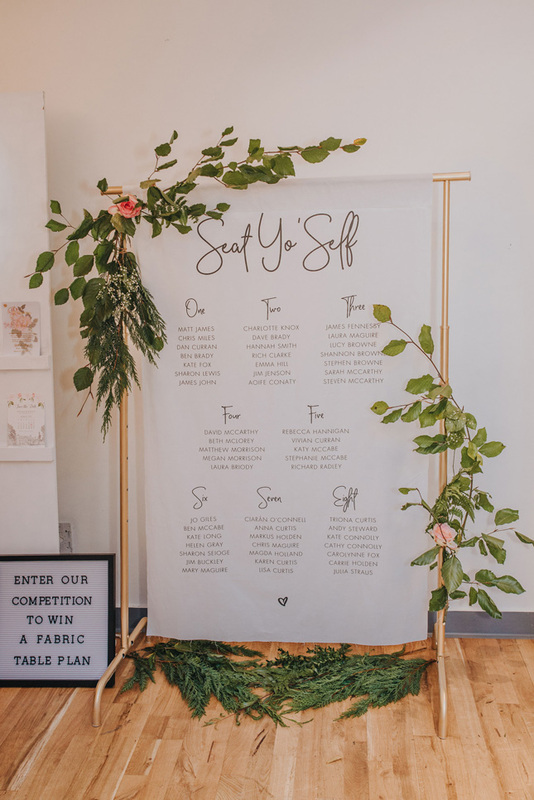 This is such a special addition to your wedding look - who knows how many stories the different elements could tell about their past? 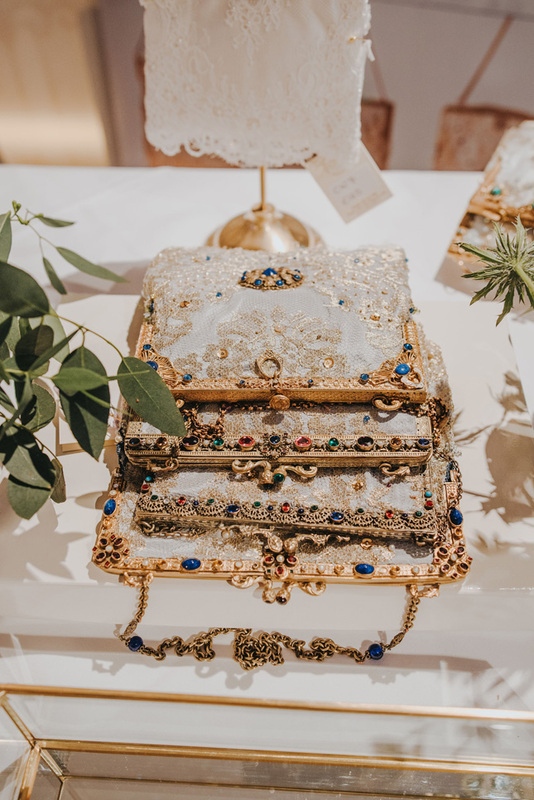 Cathy's wedding bags are the ultimate 'something old'. 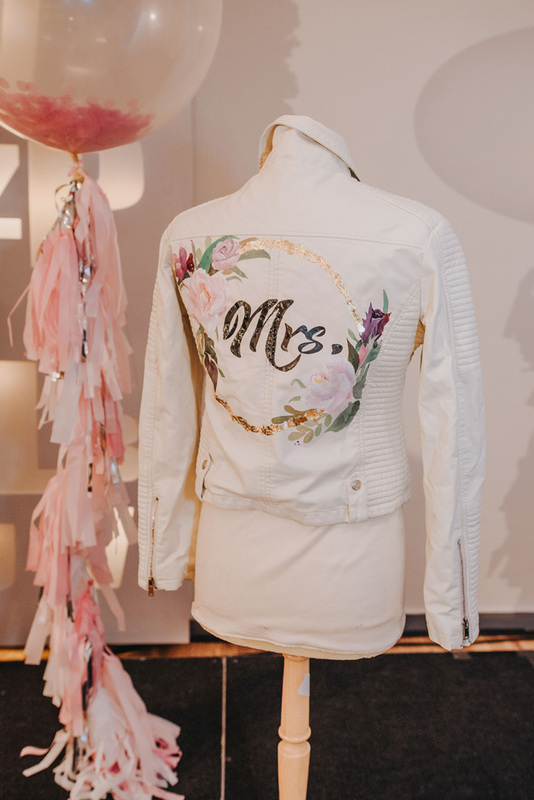 Karen creates the most baddass bridal jackets by handpainting leather and denim pieces with custom designs. 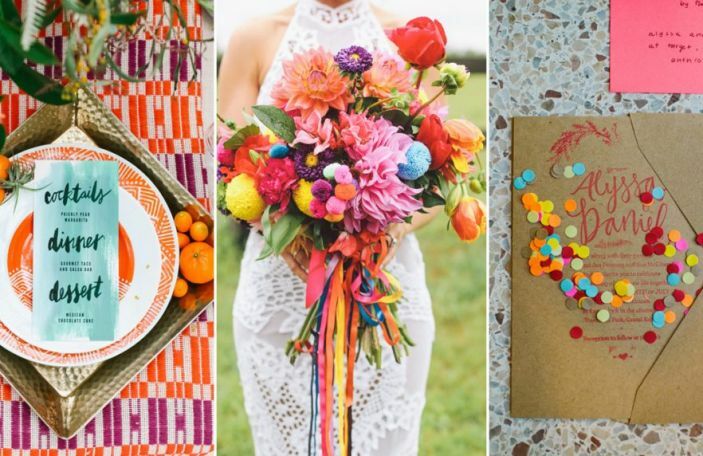 The cool cover-ups make for an amazing wedding photo op and add that rock 'n' roll bride edge, we love. Formerly of Bainis Films, Confetti fave Daniel Corcoran has rebranded as We As One Films. But whatever he's called, his name already proceeds him and he's going from strength to strength with his epic cinematic style of storytelling. 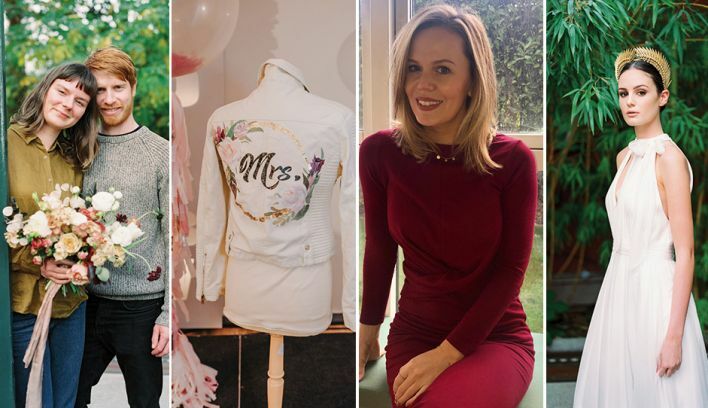 Niamh Martin has been one of Ireland's hardest working makeup artists for more than 15 years now, making her an OG of Irish wedding suppliers, but her star is still very much on the rise. 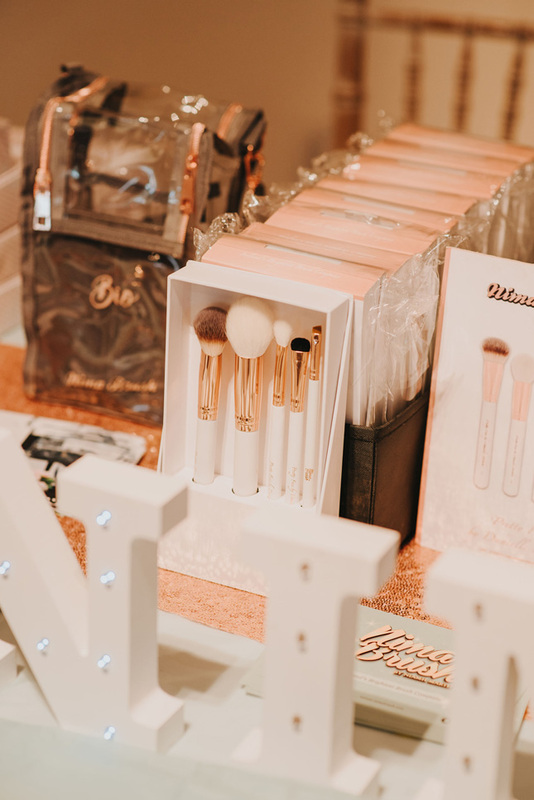 Her brush brand Nima Brush went international last year and she introduced a new line of professional makeup kit bags called BIO, that are now adored by her industry peers. She returned to training in recent months, to pass on her years of expertise to budding artists. Book her while you still can. 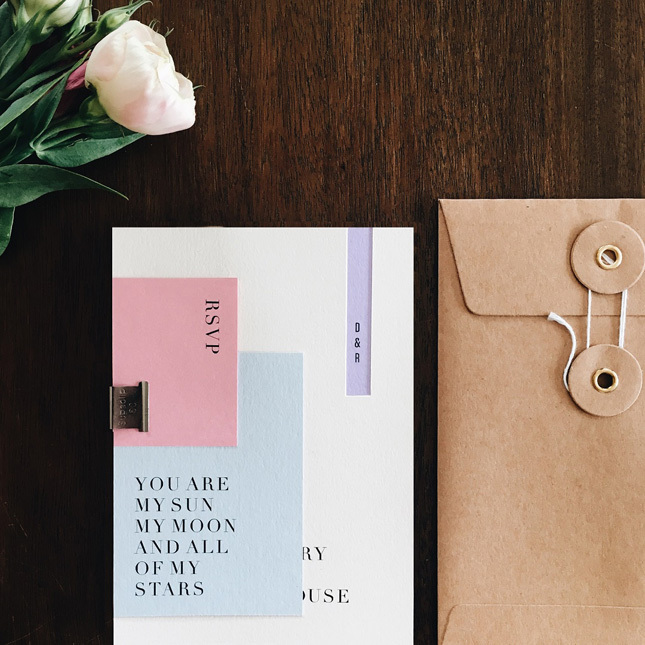 Creators of chic, custom wedding stationery Bride To Bee also retail a range of the cutest wedding accessories that we adore. 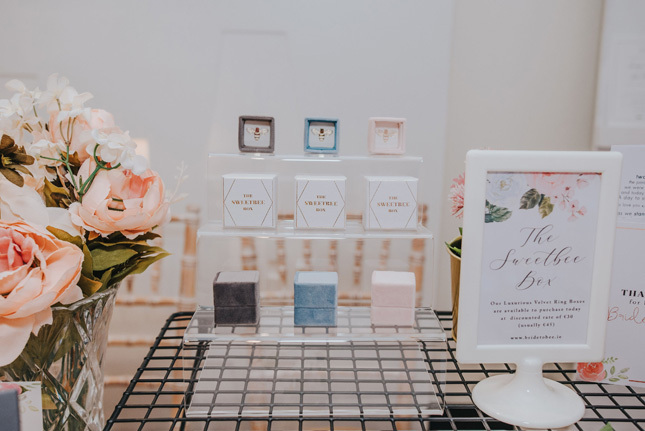 Their Sweetbee velvet wedding ring box is our favourite; a must have for ensuring those shots of your engagement ring are on point in wedding morning flatlays! 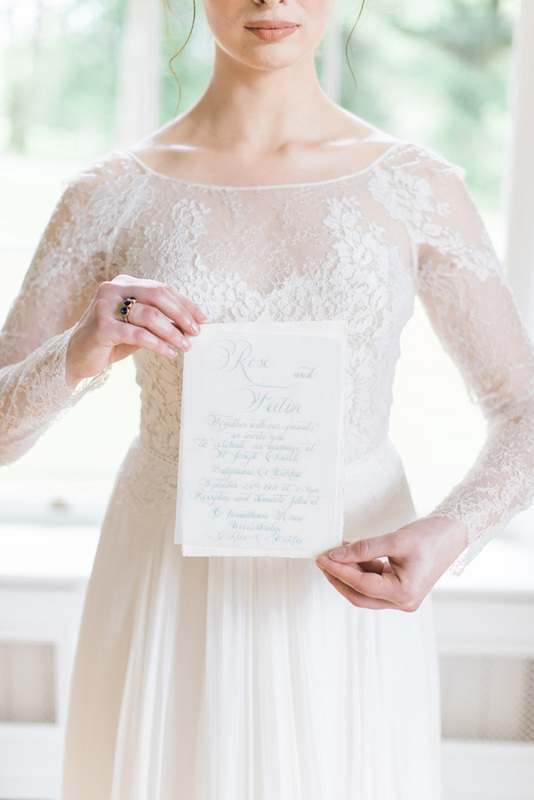 Whether you're feeling classic calligraphy or modern lettering, Laura is your gal. 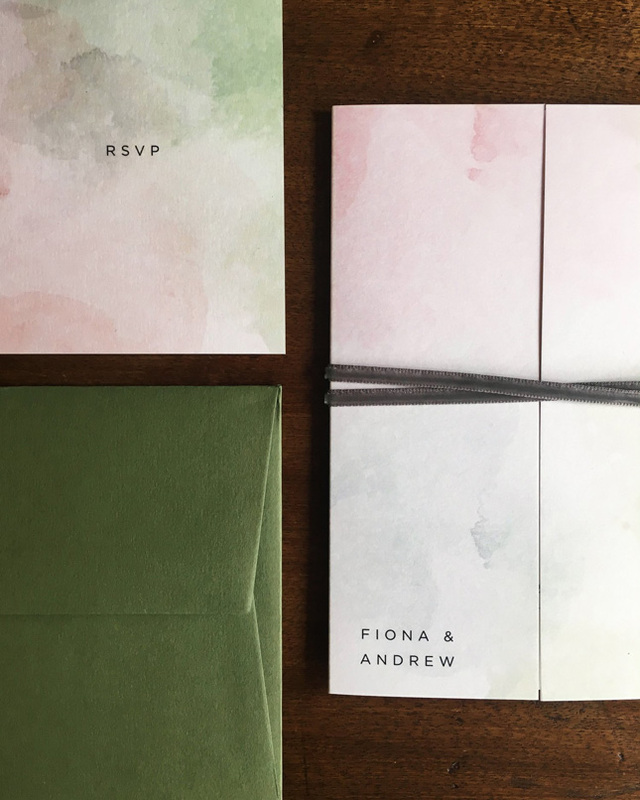 She blends her own inks to ensure the finish is perfect every time and can add her magic touch to a whole host of design elements for your day. 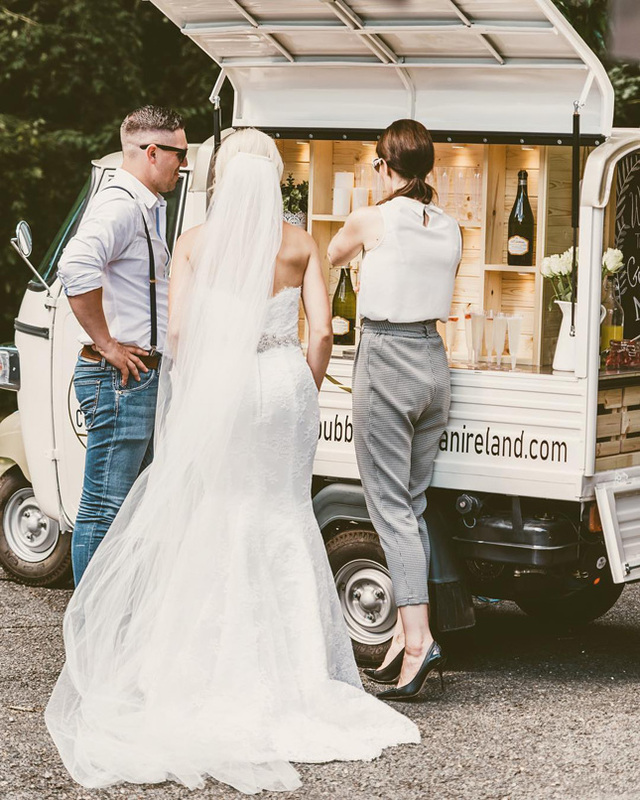 Irish weddings continue to become more creative and inspiring every year, thanks in no small part to folks like this deadly lot. Us Irish are a talented bunch, eh? 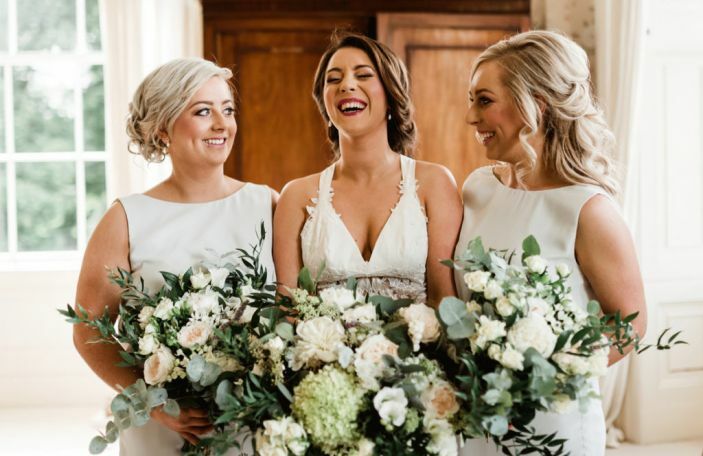 You'll find a whole host of amazing Irish wedding suppliers in our extensive wedding directory here. And also... Why is nobody RSVPing to my wedding? 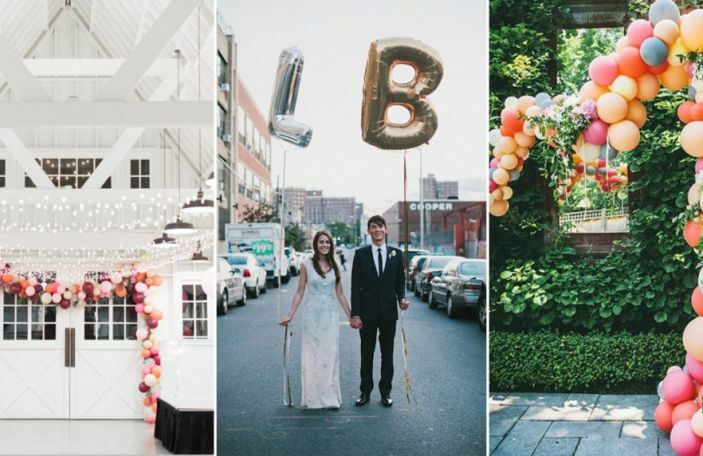 A Confetti promotion: add a little something special to your day!